Olga Kharitidi's first book, "Entering the Circle" http://ncolloff.blogspot.ch/2016/12/entering-circle-psychiatrists-shamanic.html had its psychiatrist author stepping into the world of Altai shamanism. It is a journey of self-discovery beautifully told and grounded even when it demands much of your imaginative sympathy for the magical. Her second book, "Master of Lucid Dreams" traverses similar territory except now we step out of the territory of the familiar - shamanism - into the territory of the 'secret brotherhood' and if the former raised the spectre of Castaneda - what is testimony and what imaginative extrapolation? The latter brings us into the realm of Gurdjieff - charlatan or wise trickster, delusion or sagacity beyond our usual ken? 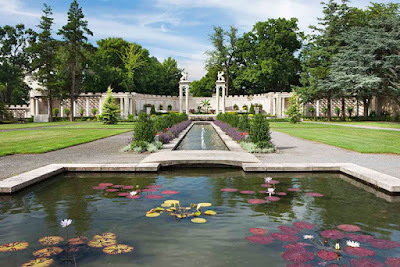 Robert Pogue Harrison's 'Gardens: An Essay on the Human Condition', like his 'Forests' http://ncolloff.blogspot.ch/2014/08/if-you-go-to-woods-today.html, is a penetrating exploration of how a particular aspect of our world has been seen down the ages and how that seeing reveals key aspects of humanity and how it has changed from place to place and from time to time. "Wherever I am, at whatever place on earth, I hide from people the conviction that I am not from here. It's as if I'd been sent, to extract as many colours, tastes, smells, to experience everything that is a man's share, to transpose what is felt into a magical register and carry it there, from whence I came"! A task achieved in ripe abundance! 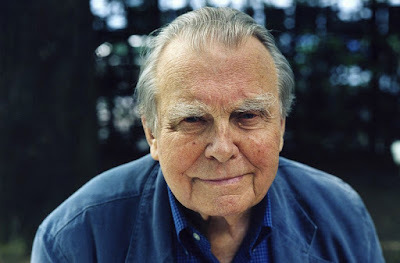 I remember reading the Polish Nobel Laureate, poet, essayist, philosopher, Czeslaw Milosz, first at university. I was introduced to him, as was so often the case, through reading the review, 'Temenos'. It was, I think, my parallel and also primary education to that offered by my apparent university course. Fittingly I encountered him through the lens of his own introduction to the man he considered his master, his distant cousin, the visionary poet (and successful diplomat), Oskar Milosz.